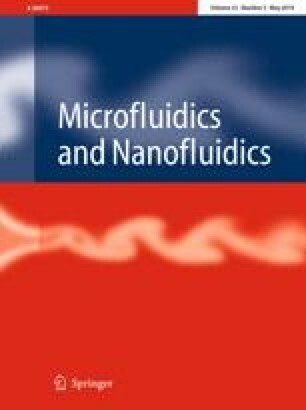 The recent popularity of inertial microfluidic devices has driven attention towards the behavior of particles in flows within curvilinear microchannels for particle separation and concentration applications. The robust technique of inertial focusing is particularly advantageous in such applications, not only because curved geometries can greatly reduce the footprint of a lab-on-chip devices, but also because the coupling of secondary Dean flows to inertial forces allows for exquisite particle manipulations. However, the ability to accurately predict the behavior of inertial particles in a curvilinear channel is often based on empirical results, as the commonly used theoretical models treat the effects of Dean flow on an inertial particle to be a consequence of the undisturbed velocity field. In particular, this simplification is problematic when the size of the particle is comparable to that of the confining channel. Here we present the first complete direct numerical model that directly simulates a particle within a confined curvilinear flow. This numerical model allows us to not only investigate the three-dimensional focusing behavior of inertial particles but also determine the applicability of the point particle assumptions previous researchers have proposed. Finally, we propose a more computationally efficient second-order model that takes into account the full physics by relying on a perturbation expansion of the lateral forces, where the perturbation parameter is the curvature ratio of the channel. This simpler model can be used to efficiently and accurately predict the behavior of particles in complex channel geometries where the curvature may not be constant. The online version of this article ( https://doi.org/10.1007/s10404-019-2234-x) contains supplementary material, which is available to authorized users.